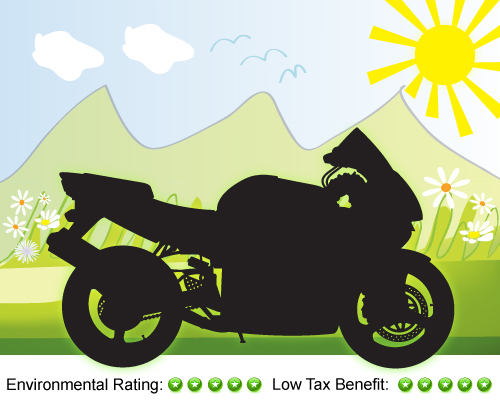 Cheaper Road Tax For Motorbikes – Why Not? 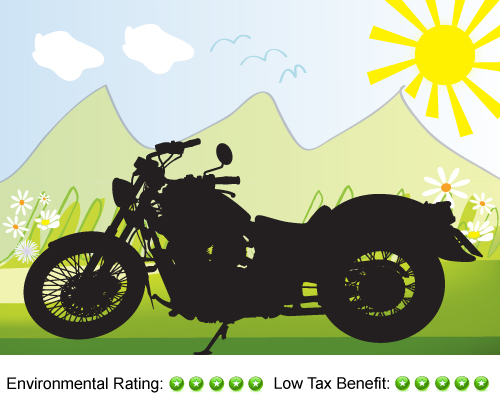 Motorcyclists could be paying less VED (Vehicle Excise Duty) – Road Tax – if the same CO2 emissions based VED scheme was introduced for motorcycles that is already in place for cars – and from April 2010, for new car purchases. But they won’t unless the motorcycle manufacturers supply CO2 emission information. Unlike car manufacturers who have reported CO2 emission figures for years as part of the European type approval system, motorcycle manufacturers do not state these figures. Apart from a few model specific exceptions it’s impossible to get hold of this information. Without these figures, a motorcycle CO2 based VED emission scheme cannot be implemented, motorcyclists will not have a first year reduction on their road tax for new machines and any further potential savings on road tax will not be passed on to motorcyclists. ACEM the Motorcycle Industry in Europe, the professional body representing the interests and combined skills of 12 powered two wheelers (PTWs) manufacturers, prefers Road Worthiness (RW) Testing (MOT) for motorcycles throughout Europe (not all European countries have this test for motorcycles) and has been pushing to include emissions in this test. We can only presume that this is so that they can move the responsibility for the emissions and the durability (how long the vehicle should remain within emission tolerances) onto the rider and not have to worry about the cost of testing new models and recalls. For years the industry and motorcycle organisations have said that motorcycles are among the most fuel efficient vehicles on the road, with their space saving capabilities. They spend less valuable time stuck in traffic jams so that commuting and travel times are both reduced, thus leading to a reduction in emissions, because motorcycles are not forced to remain stationary, with an idling engine, in congested traffic. Where does this leave motorcyclists? We pay road tax based on engine size (because in the absence of information about emissions, the government will tax by default) and there is the real possibility that riders will have to pay higher charges for MOTs to cover the cost for emission checks and be responsible if the emission levels are too high. A European regulation will make manufacturers state the emissions of motorcycles. 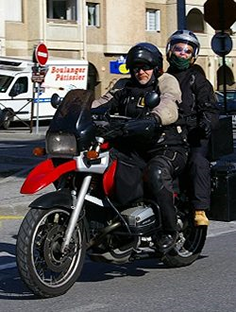 A proposal going through the European parliament at presnt (July 2012) regarding Road Worthiness Testing has emissions testing in it for motorcycles. 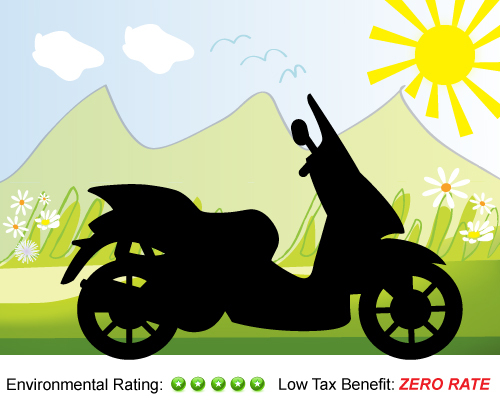 Thus we may be a step closer for motorcyclists paying less VED (Vehicle Excise Duty) – Road Tax – if the same CO2 emissions based VED scheme was introduced for motorcycles that is already in place for cars.